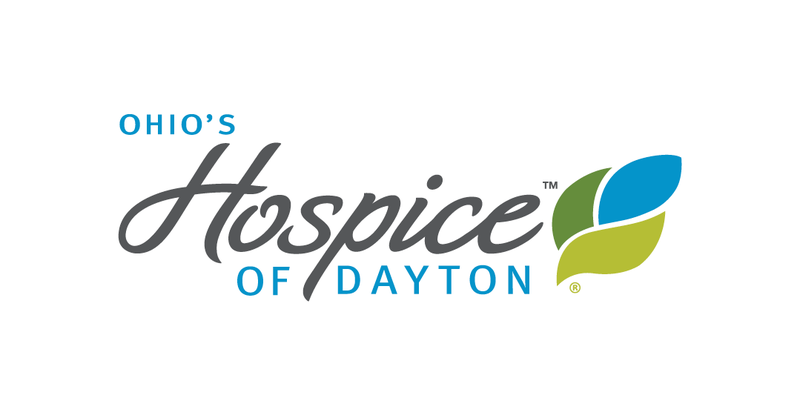 Nestled in an area of manicured bushes at the back of the Dayton Hospice House is a fairy garden of tiny benches, a gazebo, a picnic table, stone sidewalks and fences, toadstools, fairies, and lights, surrounded by miniature plants. 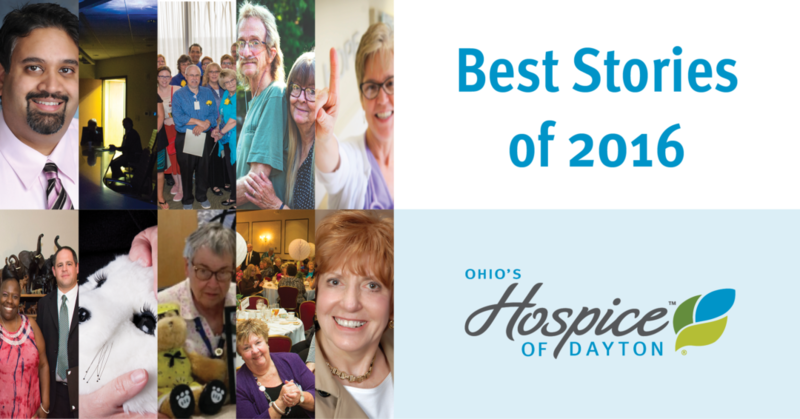 The gardens at the Dayton Hospice House provide respite care for patients and families, especially this small area outside the window of the Family Lounge at the back of the garden level of the Shaw building. Patients in wheelchairs can be seen sitting there with smiles of finding such a unique creation. Often children can be seen peering outside the window with excited giggles at finding nature’s version of a dollhouse. 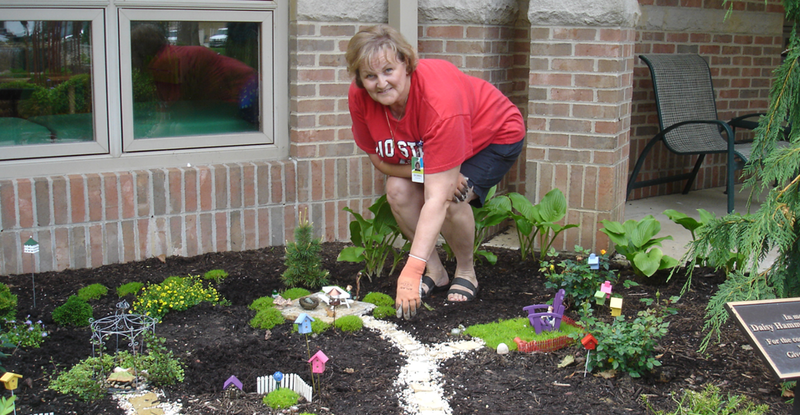 Debbie Harber, one of our volunteers, has been creating fairy gardens for six years. She approached us about creating one for our gardens. Miriam Wolf, Hospice of Dayton landscaper, had the vision of a fairy garden in the master plan for landscaping, and she and Debbie chose this site. Over a six-week period, Debbie prepared the site and donated articles for each area of the garden. Debbie became a hospice volunteer in 2013 as a result of a specialized recruitment for retired postal workers who could help sort the mail. 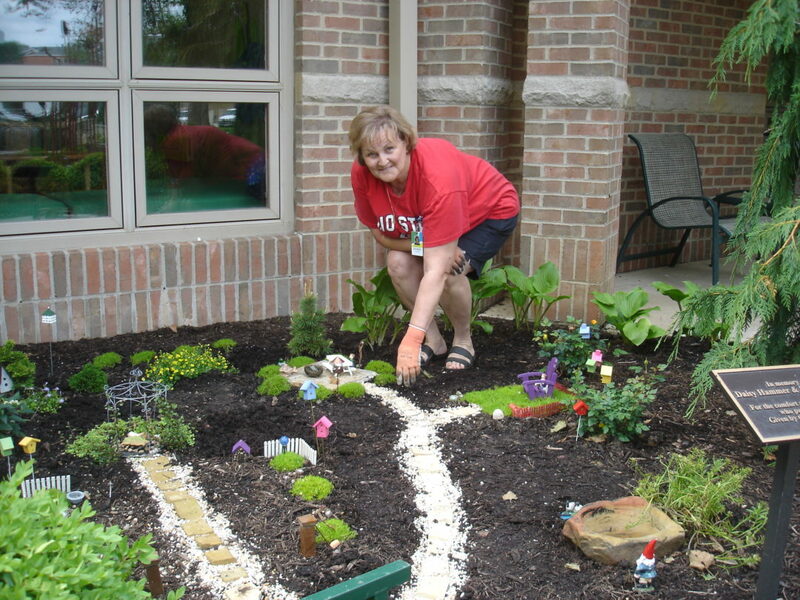 As a retired letter carrier with 30 years experience, Debbie sorts the mail on Mondays each week in additional to caring for the fairy garden.